The International Olympic Committee (IOC) has approved the inclusion of an image of the Statue of Liberty on Team USA’s goalie hockey masks, reports say. The IOC initially requested that the image be removed from the women’s team goalie masks, according to USA Today. Team USA had added Lady Liberty to the mask worn by Nicole Hensley. Player Alex Rigsby also has an image of the statue on her chin strap. Ultimately, the IOC relented and allowed the players to wear their gear as is, ESPN reported. 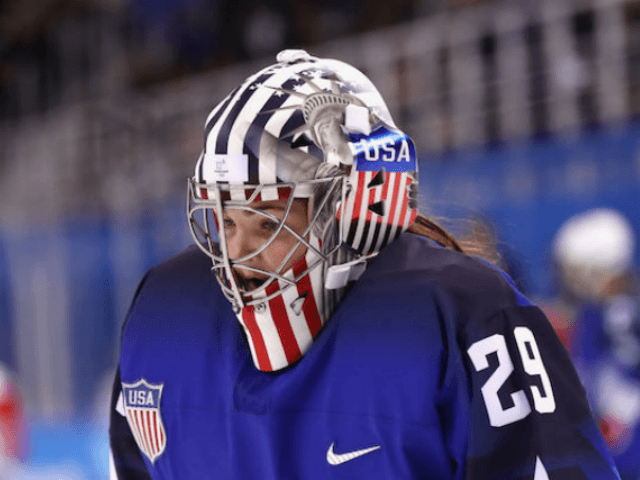 Hensley was able to wear her Lady Liberty mask as she made 13 saves in Team USA’s 5-0 win over the Russians on February 13.